Hola Amigas! I want to say Thank You so much for all the BEAUTIFUL comments. 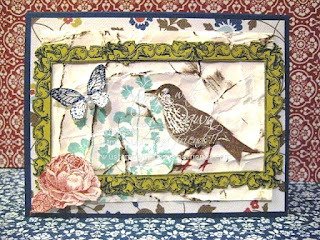 I hope that you enjoyed the Blog Hop and will be able to recreate all the amazing projects. Please stop by and let me know that you did. Well DRUM ROLL. The winner of the sampling of new ribbon is Maxine. Maxine please email me with your address. New Catty goes live June 1st. Please email me or call me for your copy and to set a date for your workshop. Your going to LOVE LOVE LOVE all the NEW NEW NEW goodies inside of the catty. My wishlist is a mile long! Welcome to the UStamp with Dawn and Friends!! 3rd Anniversary Celebration Edition 2012 World Showcase Blog Hop. If you have been following the Blog Hop from the beginning, you have just been wowed by Teresa Giordanos' Little Memories, what a FUN way to preserve memories? Tere is a FABULOUS Designer and always shares something special for UStamp with Dawn and Friends!! events!! If you are just joining the Blog Hop, no problem, as you can start at any point. All the Designer's Blogs are linked together so you will be able to see ALL the FANTASTIC projects we have for you. Scrapbooking for some is a tedious task. I wanted to show how preserving your memories can be FUN and EASY. It also doesn't have to be TRADITIONAL. 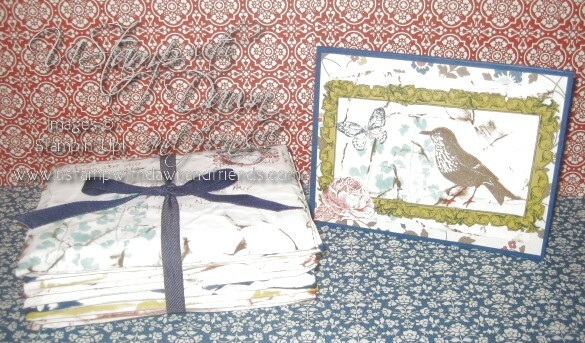 I made a Envelope Faux Book. 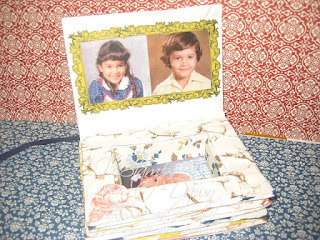 Do you notice the cutie in the picture on the left...This is my hubby and I when we were in Kindergarten and if you see inside the box is Solimar's Kindergarten picture. When Joaquin starts Kindergarten we will add his picture. You can also add special trinkets in the box as well, under the pictures. Here is my LOVELY card using Papaya Collage. Its a new stamp set in the 2012-2013 catty. I have also used the new colors Midnight Muse (base), Summer Starfruit (frame). In my tutorial you will see how I extended the frame to make it longer. 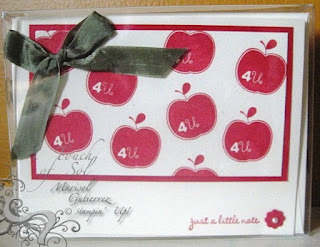 Please leave a comment about my project to be entered for a chance to win a dynomite prize of 12 inches of ALL the BRAND NEW Stampin' Up! RIBBONS!! These NEW Ribbons will be available as part of the NEW Stampin' Up! 2012-2013 Catalog!! I will randomly select a winner to be announced on Tuesday, May 29th so please check back to see if you are the lucky recipient! You have the opportunity to get the downloadable PDF Tutorial for my project FREE!! It's a GIFT from UStamp with Dawn and Friends! Woohoo! Click below to access the FREE BLOG to get your FREE PDF Download. AFTER the Blog Hop ends! the Early Bird Pricing for "KEEP CALM AND USTAMP ON"! Gold Medal worthy talents for YOU! WOW, INSPIRE and EXCITE YOU!! 20 days of creative fun for EVERYONE! NEW Project posted every 12 hours! Member Photo Gallery and so much MORE! THE BEST VALUE on the planet! Click the blinkie below to $AVE and SIGN UP TODAY! Ready to get hopping again? 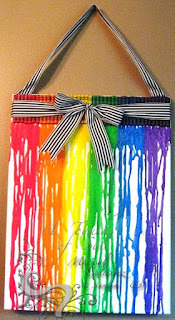 Tammy Maxvill has waiting for YOU on her blog to share! Hola Amigas! Yesterday was Purple Day. We asked the students to wear something purple, their teacher's favorite color. The could have worn a purple shirt, pants, earrings, accessories, hat, freckles, spray painted hair...You Get the Point! Tara and I (we are the room moms) presented her with a bouquet of purple flowers along with a book Tara put together called What I Like Best about Mrs. Schultz. We loved reading all the different answers...On PURPLE day I made her this canvas with the melting crayon technique...I began to add her name but it was too long. I have to come up with an alternative. Although as is LOOKS GOOD TOO! 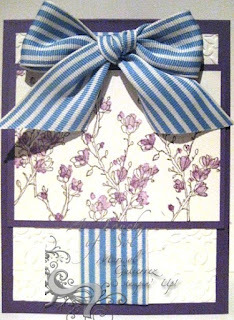 Here is the note card set for PURPLE day. Hola Amigas! Tuesday we asked the students to bring in a flower for their teacher. They could buy one, bring it from their garden, color one, make one, etc. She received alot of different ones. ALL BEAUTIFUL! Solimar is allergic to flowers (of course). 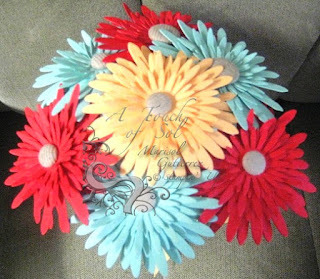 So she asked me to make her flowers. I made a Daisy Bouquet. 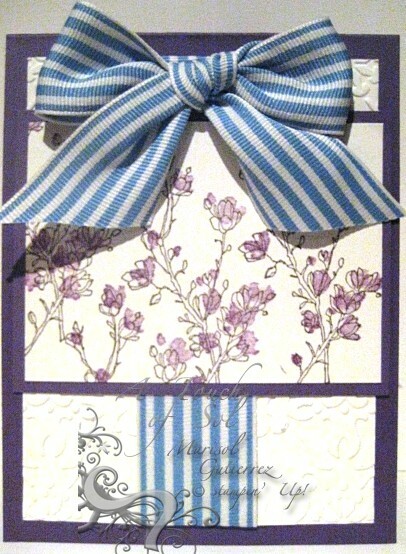 Here is the note card set that went with the bouquet. Hola Amigas. WOW! It's been along time since I have shared with all of you! Believe me I have been truly busy creating. But also not well. Well this week is Teacher's Appreciation Day. 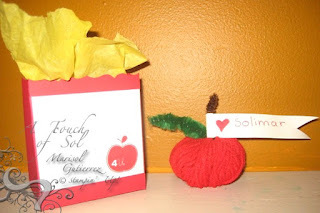 We are appreciating Solimar's teacher using all the ideas from the book Teacher's Appreciation Day (GREAT BOOK and FUNNY). So Monday was Apple Day. The students were asked to bring her an apple. She received the first and said Thank You but then they just kept coming...before you know it she has about 20 apples on her desk...She thought it was funny! Solimar is allergic to apples so we made one from yarn. This week I am also gifting her a note card set to go with the them of the day. So here is the one she received Monday. 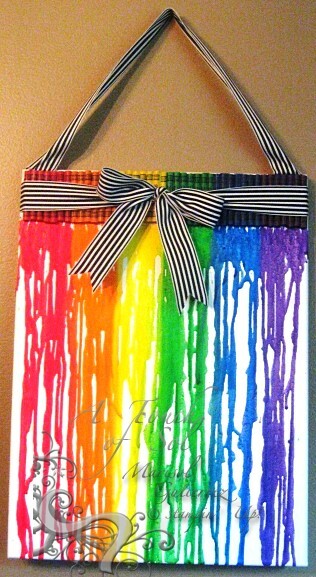 Is crafting a big part of your life? Wouldn't you love to earn money while doing something you enjoy? How about the convenience of setting your own hours? Or would you love to get a great discount on amazing products. If you answered yes to any or all of these questions, then Stampin' Up! is the perfect opportunity for you. 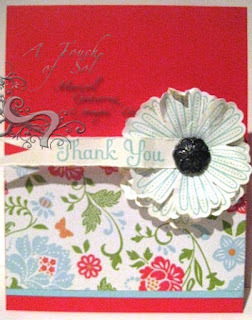 And starting in May 2012, Stampin' Up! 's New Demonstrator Starter Kit is completely customizable! 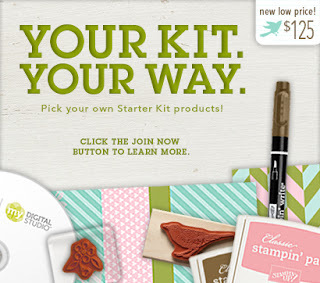 Build your Starter Kit your way! A business supply pack valued at $65!. I WOULD LOVE FOR YOU TO JOIN MY TEAM!